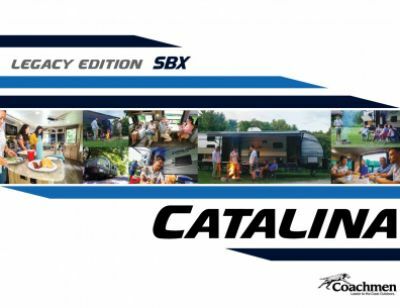 Travel across the country from the comfort of home with the 2020 Coachmen Catalina Legacy Edition 343BHTS! This Travel Trailer can be found at Gillettes Interstate RV for a great price! You can visit our lot at 7210 E Saginaw St East Lansing Michigan 48823, or we can bring this RV to your door with our 24/7 delivery service across North America! Give us a call at 517-339-8271 to start your RV adventures today! With its hitch weight of lbs, it's easy to tow and easy to set up! It has a GVWR of lbs, so it will easily handle your whole family and guests! When you want to lounge outdoors and enjoy the fresh air in comfort, the 21' 0" patio awning opens easily for shade and UV protection! 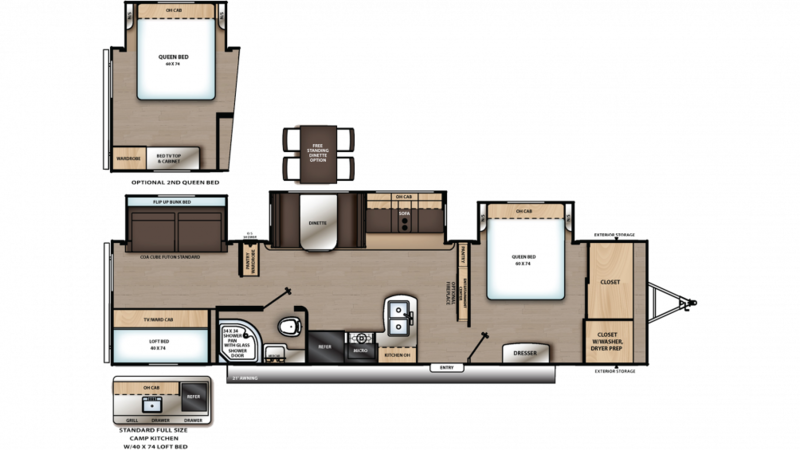 The Coachmen Catalina Legacy Edition 343BHTS sleeps up to 8 people, thanks in part to the super master bedroom with its roomy, comfortable Queen bed! So after a great day of outdoor fun, you'll experience sweet dreams every night and wake refreshed and ready for more outdoor excitement! Traveling with children? This would be a great Travel Trailer for you, as it has a cozy bunkhouse! Love outdoor picnics or tailgating before the game? You'll do it anytime you choose, thanks to the handy outdoor kitchen! It's easy to set up, and you can whip up all your favorites fun foods in the fresh air and sunshine!